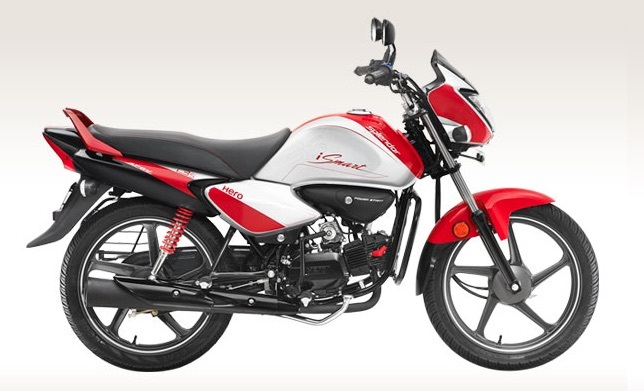 Hero MotoCorp, the Indian automobile maker has released a bike named “Hero Splendor iSmart”, the company claims Splendor iSmart is the world’s most fuel-efficient bike. 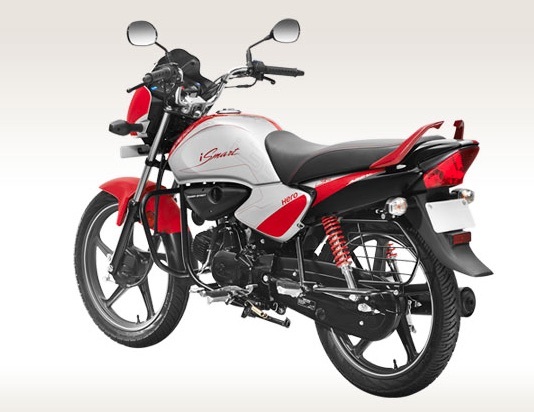 Splendor iSmart provides a mileage of 102.5 Km per litre there by becoming one of the best economical bikes. Hero MotoCorp’s Splendor iSmart has been tested and certified by an Indian agency for a commercial launch. Splendor iSmart is available in 4 different colors: Sports red, Leaf green, Excellent blue and Heavy grey. The bike can be availed in 2 formats. 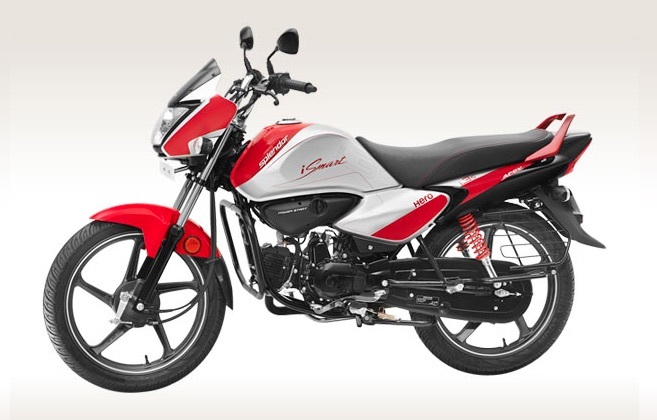 Hero Splendor iSmart with Self-start, drum brake and alloy-wheel would cost 51,805 Rs while the Hero Splendor iSmart with Self-start, drum brake and spoke-wheel would cost 50,787 Rs. Prices mentioned are with respect to Bangalore ex-showroom. The iSmart comes with a air-cooled 4 stroke single cylinder OHC engine. The engine has a displacement of 97.2 cc and churns out a maximum power of 5.74 KW(7.8 Ps) with a maximum torque of 0.82 kg-m(8.04 NM) @ 4500 RPM. The engine has a compression ratio of 9:0:1. Both starting options are available including Selfstart and Kick Start. Ignition type of the bike is DC-Digital CDI. Hero Splendor iSmart has a Multiplate Wet clutch, 4-speed constant mesh gear box and has a tubular double cradle frame. The bike has a front telescopic hydraulic shock absorbers and a rear swing arm with adjustable hydraulic shock absorber. The front brake of iSmart bike has 130mm Internal expanding shoe type and rare brake of the bike has 110mm internal expanding shoe type. Wheels, Electricals, Dimensions and full specifications can be found on their official website. The bike gives a mileage of 102.5 Kms per litre. According to March 2015 fuel efficiency (FE) values certified by the central government’s International Centre for Automotive Technology (iCAT), the motorcycle returned 102.5 kilometres to a litre of petrol. In India’s 2 wheeler space, Hero MotoCorp tops the list of Most fuel-efficient bikes. Out of 10, 7 bikes are made from Hero MotoCorp. Other key players like Bajaj Auto and TVS Motors are also present in the list.